Oracle, the American boat in the America’s Cup (actually it had only one American on board, but that’s a minor detail), was 1-8 down last week. The New Zealanders were on fire and nothing could stop them. And they had to win only one more race to clinch the Cup. But then Sir Ben Ainslie happened (and a whole load of boat fixes, but we won’t let a few facts get in the way of a good story with a British hero) and the American boat made the biggest comeback in America’s Cup history. They stormed from 1-8 down, to victory. 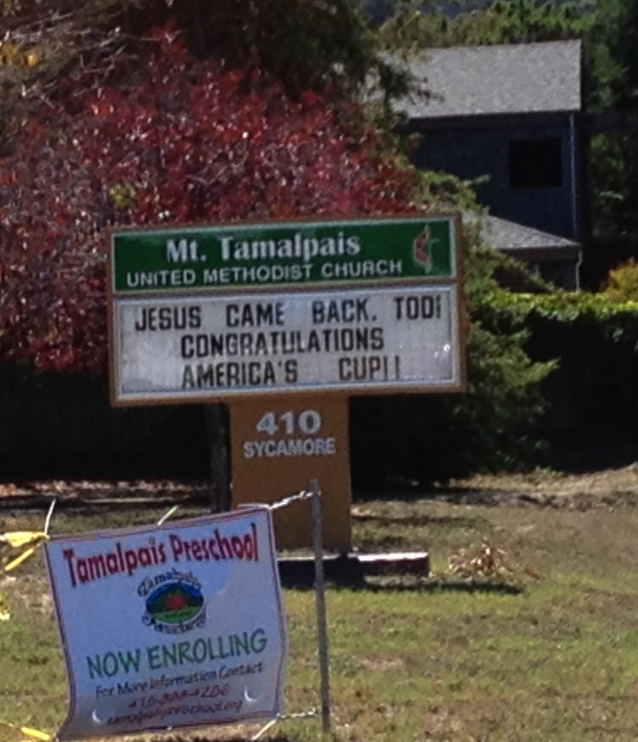 And this is the sign on a church that I saw today. You’ve got to admire the opportunism.